Pumpkin Pop Tarts – A Fun, Easy Holiday Breakfast! Have I mentioned that I love Pinterest? 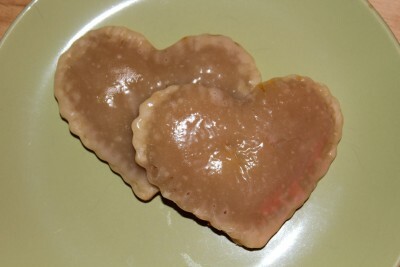 Well, I do because it brings me ideas like this one: Pumpkin Pop Tarts! Which is really just an excuse to eat something that tastes an awful lot like pumpkin pie but is way easier and faster to make for breakfast! Actually, I thought these were better than pumpkin pie. The filling was sweet with that cinnamon spice but didn’t have the denser texture of pumpkin pie. And the crust with the glaze on it was just yummy! We made them for breakfast on Thanksgiving. They were delicious and the perfect start to our holiday. But, I’m sure we will be making them again in the future. They’d be great for any holiday or even just a fun Saturday morning breakfast with your family. Preheat oven to 400 degrees. 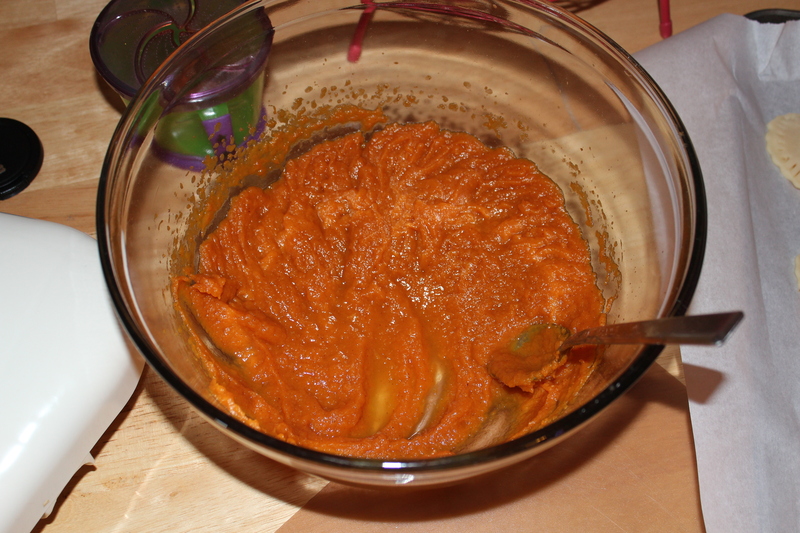 In a large bowl, mix together pumpkin puree, sugar, egg, and pumpkin pie spice. Set aside. Unroll your refrigerated pie crust and cut out your pop tart shapes. We used heart shaped cookie cutters for this because that’s what we had on hand, but pumpkins would be really cute, too. Or you can just use a knife to cut out rectangles to look like traditional pop tarts. Spoon a small amount of the filling into the center of each shape. Place another cutout of crust on top and use a fork to seal the edges of the pop tart together. 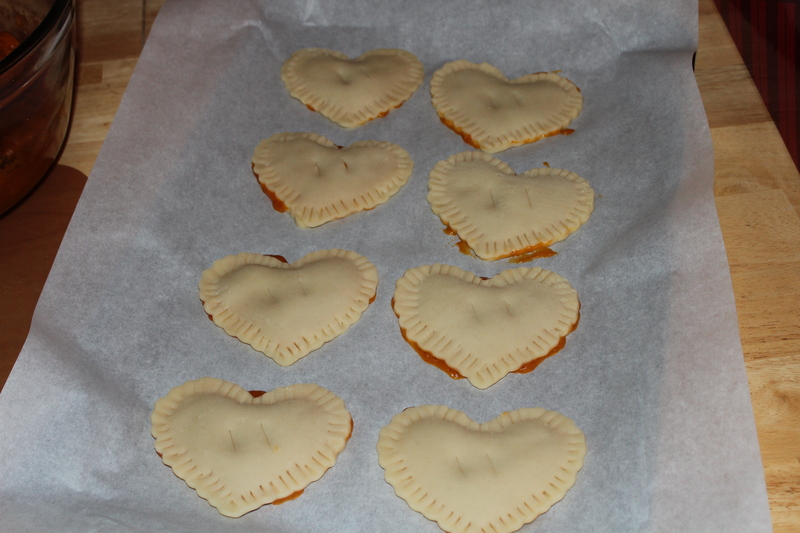 Make two small cuts in the top crust of each tart to vent. Place the pop tarts on a parchment lined baking sheet and bake for approximately 10 minutes or until top crust is lightly browned and filling is bubbly. While the pop tarts are baking, mix together powdered sugar, milk, and vanilla in a medium bowl. Add more milk if necessary to achieve desired consistency. Once finished baking, brush or drizzle glaze over warm pop tarts. Best served warm. ← Salted Caramel Cookie Cups Recipe — Our New Favorite!